Ultimate Beastmaster series 3 has dropped on Netflix, and this one’s especially interesting because there’s a Great Britain team. At time of writing I haven’t had a chance to watch it yet so don’t know what other changes there are (although I’ve read there’s a new tournament format and eight countries being represented this time round, with none other than Dannii Minogue commentating for the Australians) so feel free to discuss it here. So this is basically Ninja Warrior but with different countries competing? Sounds interesting. Just watched the first episode of this, as a fan of the first 2 series it was… interesting. There are now 9 countries competing, with only one player per country per heat. There are also only 6 heats, so only 54 players in the series total(!). The heats are to find 2 players to qualify for the next round, and don’t play the old 4th stage nor give out prize money. Because there is less action happening, we now see every run in full. I would say the stages have been “streamlined”. They’re still the same size, but long/fiddly obstacles like the jumping mushrooms from stage 1 and the bungee cord maze from s2 have gone. Disappointingly the wet tunnel is still in stage 2, and they’ve made the jump for the rope in s3 really easy. There are more point thrusters in general, and new countdown point thrusters which give you more points the faster you get to them (and impressively have a real countdown screen on them). I think the UK hosts are really good, Stu is a bit matey, but actually quite sharp, and Kate is insightful and concise. All the returning countries have their old hosts, except Germany for some reason, and the hosts are more confident and lively, and their interactions are made a bigger part of the show. There’s also more attention paid to the other competitors on the sidelines. I enjoyed it, but felt that with seeing every run in full, the courses being a bit shorter (and IMO duller), and only 3 stages, the show was getting a bit boring well before the end of its hour. I can’t see this getting any better in the semi- and final episodes when there are 6, rather than 9 starters. Cheers Tom, I look forward to making time for it tomorrow. The German hosts are way better than the old ones and the US now has CM Punk, he wasn’t there before, was he? I’m not a fan of the new tournament structure. Whereas in previous series where the aim was to get as many points across the rounds for the final, this time round resetting them after every round and then having the top two go through to the semi finals just kills any tension and doesn’t make it anywhere near as impressive. In the three episodes I’ve seen so far the end to the show just becomes limp once you know they’ve qualified for the next show. I liked there always being a winner – if only because the final climb felt finite. They briefly mention in episode 2 that the person who gets the highest amount of points in the previous round gets to go last, but I don’t see that as being a massive advantage. It’s not all bad though. The presenters all look like they’re having fun, and they’ve added some new games that sort of work – but so far this isn’t the best series for me. I agree, the head to head final round gave a much more definite ending to every episode, as if something had been achieved. Now, with the result just being qualifying for a semi final it feels a bit less consequential. Has anyone else got as far as one of the semi finals yet? It’s an even weirder structure. For the semi finals, each qualifier runs the entire course supposedly all in one run (Not that I would accuse them of doing the stages separately and then edit them together to avoid having to pay for 3 times the amount of cameras to be able to cover the whole thing simultaneously). They also each get an extra life, a chance to go back to one of a series of checkpoints that aren’t obvious to the viewer. They will lose whatever points they had earned between the last checkpoint and the point at which they failed, but those points are still available if they do just as well as their first attempt. This format means that some contestants get quite far in the course, whilst others don’t get very far at all. It means that someone who struggles early on has very little chance of going through to the final, which perhaps is intended. Right, just started watching first ep, got US edit. Turns out UK one is seperate. Thanks Netflix! Have they done a semi-final before? I can’t work it out. How does everyone feel about this event-style show being on Netflix? Is it a ‘Netflix’ show? Does it matter that when you watch it, it feels like you could be the only person in the world watching? This isn’t a comment on the quality of the production but more the context for viewing. It does feel that way and that’s why I am surprised this has been recommisioned. But I don’t feel any different watching dramas on Netflix unless it’s a blockbuster like Stranger Things. I think Netflix could do with more event-style shows as you call it, but more in a Society Game or The Genius way, because it would be more suspenseful. But then these shows shouldn’t be published on one day, but weekly. Agree about weekly. Look out for a Netflix schedule over the next 2-3 years! Really interesting question. 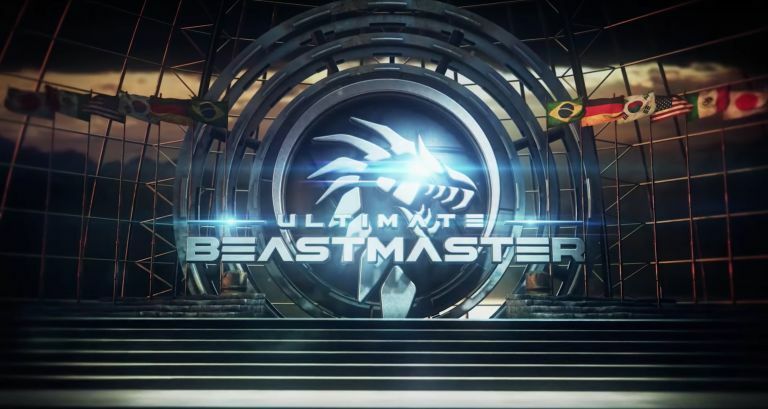 I don’t know how far I’d call Ultimate Beastmaster “event programming”, I can’t say I’ve perceived any sort of buzz about it. I do think it’s quite interesting that having watched both previous seasons in their entirety I couldn’t tell you who the winners were in the same way I can recognise contestants on Sasuke/Ninja Warrior, but really most of my enjoyment from the show comes from the interplay between the commentary teams, so I’m basically watching international banter with some physical competition thing happening in the background – and that doesn’t require temporality. The International angle is the one thing that Netflix can do successfully that might come across as a bit naff on broadcast media. I would say though that it makes it a show that’s difficult to chat about as you’d always be risking spoiling something in a way that something in broadcast media doesn’t have, because the time window in broadcast media where something’s not considered fair game to talk about is relatively small – the conversation has to happen then or not at all, and this sort of event television can be great social lubricant if everyone is on the same page. There’s no way to guarantee that on Netflix. I’d also ponder what percentage of Netflix users know Ultimate Beastmaster is A Thing. Evidently enough people are watching it to make it worthwhile, but short of the self-selecting people who come here I don’t know anybody else that’s watching it. I agree with you on everything I guess. The international banter is basically the only reason I kept watching throughout the second season which otherwise was repetitive. Now you talked about the problem with spoilers there is another problem Netflix faces: They probably want to create shows you can still watch in ten years time without losing its magic, so they can entertain subscribers with its existing content in the future making their shows more ‘valuable’. So if we all talked about a big show on Netflix new subscribers might not want to watch them because they already heard about the twists. So the costs per viewer would be higher than the costs of a show that can entertain forever. Somewhere in me I get that Netflix and similar streaming services are “the future of television”, but they seem to me to be exactly the wrong place for a game show. I suppose I can’t speak for every country, but where I live in the USA, the vast majority of famous game shows were designed to be on five days a week on a broadcast network’s daytime schedule. Netflix could produce the best game show I have ever seen, and it would still be thirteen episodes a year, released on the same day with the intention that you binge-watch them. An “event-style” reality-competition (like The Genius or The Mole or something) would I guess be a better fit, but could they at least make it one episode a week?